Bezeq, Israel’s largest telecom, set up in late 2015 a model “smart home” at its Tel Aviv headquarters and in the IKEA store in Netanya to demonstrate its Bhome subscription service – a package of wifi-enabled sensors and monitors to help keep out intruders and save energy. But you don’t necessarily have to live in Israel to take advantage of Israeli smart-home technologies. Here are some of the many options available now or coming soon. SwitchBee is a Netanya-based startup that provides a platform including programmable switches, a central control unit, a smartphone/tablet application and cloud-based data services. The plug-and-play devices, featured in the Bhome model home, are designed to embed in existing outlets quickly and wirelessly. The company says you can convert a light switch into a smart switch in less than two minutes, or turn your whole house into a smart home in less than 90 minutes. Using the app’s secure dashboard, the user can program custom preferences for each SwitchBee-enabled light or device including on/off and fine adjustments. Singlecue is made by eyeSight Technologies, a Herzliya company whose machine-vision systems have been built into devices made by OPPO, Lenovo, Toshiba, Hisense, Phillips and other manufacturers since 2005. It is a standalone device that lets you use touch-free gestures to control infrared- and wifi-enabled media and smart-home devices in its range of sight. You can do everything from lowering the thermostat to lowering the TV volume to lowering the blinds. Ramat Gan digital health company EarlySense has released myEarlySense, an under-mattress automatic sleep-monitoring system designed to integrate with smart-home solutions. Users can adapt their home environment based on the sleep-cycle data collected from the myEarlySense sensor – for example, arming and disarming home security systems, turning off the TV, turning on the coffeemaker and adjusting the thermostat. The myEarlySense technology is built into Samsung’s new SleepSense IoT (Internet of Things) device. 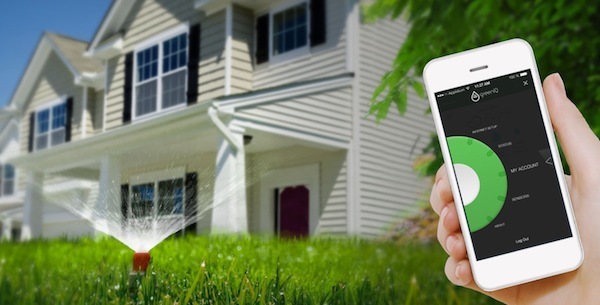 Launched at Home Depot stores across the United States and also sold online, GreenIQ’s Smart Garden Hub allows you to adjust irrigation based on past, current and forecasted weather – without stepping outside – yielding water savings of up to 50%. The device connects to the internet via wifi or cellular connection and is controlled from an iOS or Android app. The Petah Tikva-based company’s app can also adjust outdoor lighting and can connect to a Netatmo weather station and rain gauge or a water-flow sensor for leak detection. Sensibo’s tagline is “Give your old air conditioner a brain.” The system includes a pod that sticks onto your A/C and heating unit, and an intuitive app that lets you monitor and modify your settings from any smartphone, tablet or computer. If you’ve got a Samsung in the living room, an LG in the bedroom and a Friedrich in the study, Sensibo will control all of them with one interface. A new public API for developers will enable integration of a Sensibo device with other home appliances as well. SmarTap’s digital shower system, currently available in Israel and the United Kingdom and next year in the United States, was chosen for Bezeq’s Bhome demo to show how the product can reduce water and energy use by enabling precise control of flow and temperature. 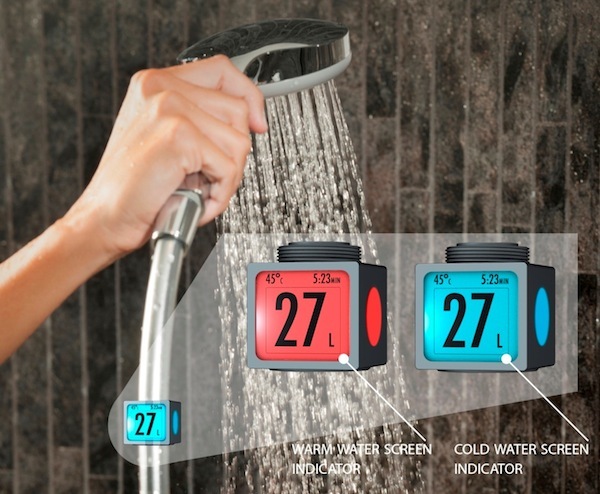 An app lets users program actions such as preheating the shower, setting a maximum temperature and flow rate, and specifying how high to fill the bath. The Nesher-based company will be adding functions such as automatic leak detection, opening cold-water pipes to prevent freezing and monitoring usage patterns; the software will be upgraded remotely with each new feature. IBM Research in Haifa is now researching how SmarTap can help reduce water and energy use in commercial buildings. 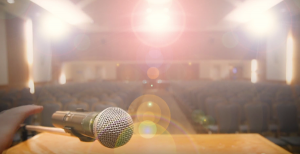 Anything plugged into a power source can be connected to PointGrab’s PointSwitch product to enable gesture-controlled adjustments and on/off actions up to 17 feet away, even in full darkness. This Israeli gesture-control technology is already powering tens of millions of devices made by Fujitsu, Acer, Asus, Lenovo, Samsung, TLC and Skyworth. The company is based in Hod Hasharon. ENTR is a battery-operated smart lock from Mul-T-Lock in Yavneh. It is designed to be retrofitted into existing doors and lets users control entry from a smartphone, tablet or other Bluetooth-enabled device. You can create or disable virtual keys immediately, lock or unlock the door at pre-programmed times and monitor the system remotely. The underlying algorithms were developed at the Israeli research and development facility of American chipmaker Freescale. Evoz turns an iOS device into a virtual baby monitor. Its technology is built inside the Belkin-Evoz WeMo monitor (which stores and graphs baby’s cries and analyzes the information to provide parenting tips) and in British Telecom’s next-generation home video devices. Evoz also can be used for monitoring housebound seniors, detecting and sending alerts about safety and security, and evaluating electricity usage. [email protected] by Essence, a Herzliya-based company, is a cloud-administered wireless system that lets users manage and communicate with a large variety of third-party-connected home devices, such as lighting, thermostats and door locks. Attach BwareIT’s SmartH2O home water meter to your sink or shower tap or your garden hose, download the app and you can see exactly how much water your household is using, how long the water is running and at what temperature, and how much it’s costing you. Now being incubated in Startup Scaleup, the European Commission’s IoT accelerator, the device could be on the market within a year to give conservation-oriented users an unprecedented awareness of water consumption. The app will also inform you of any leaks, and show how your water usage compares with the average in your region or country. If you’re proud of how you stack up to your neighbors, you can share your rating on social media. Last but not least, Mybitat, an IoT company headquartered in Herzliya, is partnering with Samsung to develop a smart-home solution aimed at helping the elderly remain in their own homes longer and enhancing their quality of life. The technology combines advanced sensors, cloud-based software and behavior analytics to monitor an individual’s daily routine and wellness. If it detects changes in behavior or health, the system will send alerts to preselected family members or caregivers.